Fans of String Cheese Incident, hold onto your sunglasses in Friends of Cheese style! Limited edition, officially licensed designs - when they're gone, they're gone! Croakies are easily adjustable. Classic Croakies fit most regular size eyewear frames. XL Croakies fit larger, bulky eyewear frames (like Wayfarers), in addition to regular-size frames! 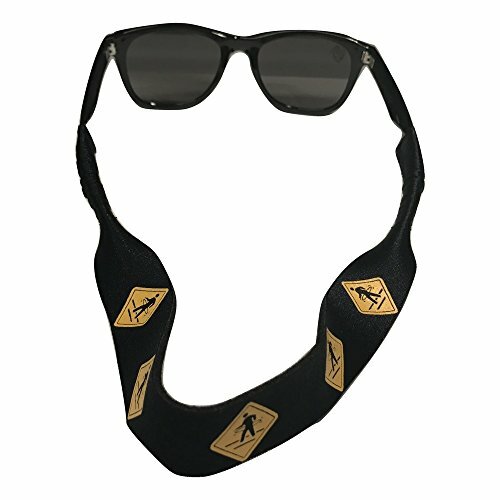 String Cheese Incident Classic Croakies measure 16" long by 3/4" wide, fit ear bows up to 1/4″. If you have any questions about this product by My Sunnies, contact us by completing and submitting the form below. If you are looking for a specif part number, please include it with your message.